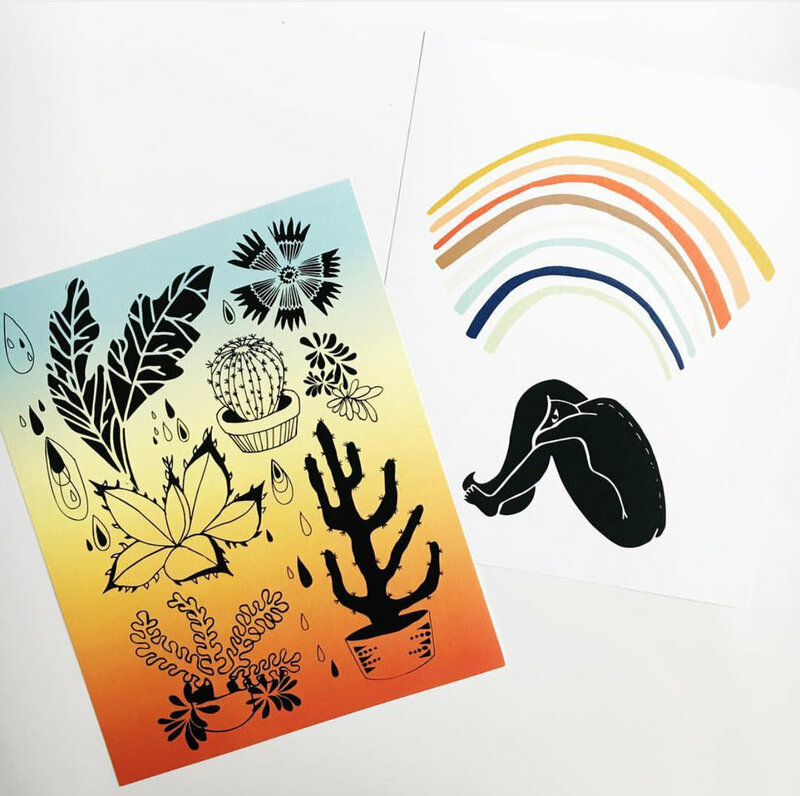 Tower Press was founded by two best friends, Susannah and Leela, with the notion that your business or brand can flourish with just a little extra magic. We met three years ago and eventually shared a studio space in Atlanta while Susannah was running a print studio and Leela was (and still is!) running her stationary company, Native Bear. Teaming up became inevitable, and we wanted to create a new business together that focused on what we love — Beautiful, luxe printing services (think business cards, postcards, art prints, stickers) that don’t break the bank. As a 100% women-owned business, our goal is to push creative boundaries so that you rise to the top. Whether it be through high-quality printed goods for your business, custom pins and patches that you wholesale or sell direct-to-consumer, or branding packages that make you stand out — we have a solution. Our clients range from the solo-preneur, to the creative hustler, to the WNBA and everyone in between. Favorite Food: Full vegan breakfast -- biscuits and gravy, sausage, avocado, the works!